AS the fumes cleared in the wake of the smoking ban a few years back, it became clear that alcohol was next on the list. Andy Kerr, the then health minister, said Scotland was “in the foothills of the discussion we have now had on smoking”. There followed calls for a ban on children’s football strips with alcohol logos, parents were encouraged not to drink in front of young children, pub-goers were told there should be no pressure to stay in a round and health lobbyists wanted separate alcohol checkouts in supermarkets. That last proposal was dismissed by the Scottish Government in 2009, albeit with a warning it could be revisited if retailers failed to comply with the “letter and spirit” of the off-sales controls in the new licensing Act. It resurfaced last September as part of a package of measures that Alcohol Focus Scotland controversially recommended to government. Then, a fortnight ago, an English health board intervened in a licensing application with a push for separate alcohol tills at a new Carlisle supermarket – a call it’s set to make in relation to all similar applications. According to NHS Cumbria’s associate director of public health, the move would “denormalise” alcohol purchases and “differentiate between a pint of beer and routine purchases like a pint of milk”. 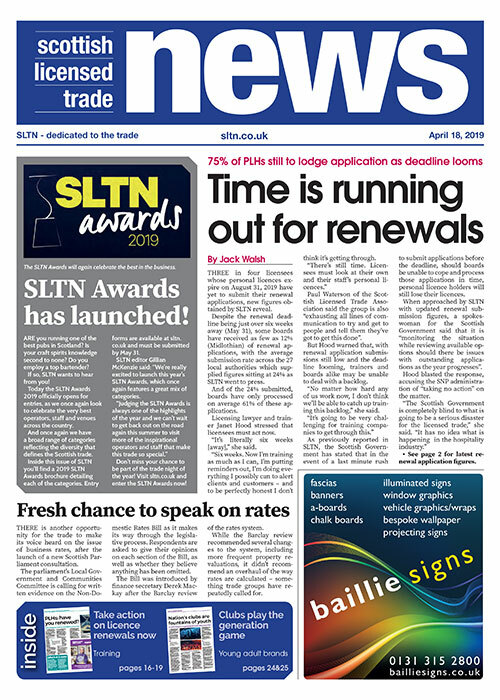 But, as retail experts have pointed out, separate tills would not just annoy the vast majority of ordinary customers – they might actually increase alcohol sales by speeding up the checkout process as purchasers would no longer require to join a queue of shoppers with a trolley load of groceries. Apparently, dedicated alcohol tills in Northern Ireland have simply resulted in a slight upward shift in sales. It strikes me that this is all about perception, in exactly the same way that we’re supposed to think that banning alcohol sales at petrol filling station shops will bolster the ‘don’t drink and drive’ message. Also in the last two weeks, the UK Faculty of Public Health (FPH) said alcoholic products should carry cigarette packet-style “no nonsense” graphic warnings: instead of diseased arteries we’d see images of cirrhosed livers. An FPH spokesman also suggested ‘factual warnings’, such as “alcohol increases mouth, throat and other cancers”. So, for once, the heady whiff of common sense was in the air. It’s not just the health lobby that’s vociferous, though. There was a time when an objection to a licensing application from a chief constable was a pretty rare event. Typically, the objection would be heavyweight and relate to an applicant’s fitness to hold a licence under the old ‘fit and proper person’ test – perhaps referring to a whole raft of serious criminal convictions – or bring to the licensing board’s attention serious disorder associated with the operation of licensed premises. But now some police forces are taking a much more interventionist approach, even at policy level. We recently saw Grampian Police oppose Nick Nairn’s application for his new cook school in Aberdeen; Strathclyde chief constable Stephen House has expressed trenchant views on the cost of off-sales alcohol and given his backing to minimum pricing; and West Dunbartonshire’s overprovision policy received the full support of the local police divisional commander. Most recently, the Sunday Herald previewed a report by Glasgow University academics claiming a link between the availability of alcohol and crime in deprived areas of Glasgow, which prompted a senior police officer to suggest that it should be a lot easier to restrict alcohol provision through tighter legislation. With government and lobbyists seeking to control the display, packaging, pricing, availability, promotion and advertising of alcohol – even the point of sale in shops – I’d reckon we’ve moved well beyond Andy Kerr’s “foothills”. Has the licensed trade ever been under such intense pressure? 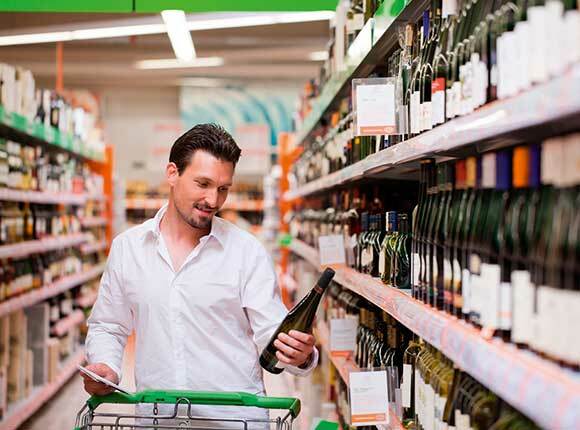 Image: With alcohol display restrictions in place, some health lobbyists want separate tills.